Elaphoglossum Schott ex J. Sm. Plants terrestrial, lithophytic or epiphytic. Rhizome creeping, rhizome scales brown or black, entire or fimbriate or dentate. Fronds simple, tufted or spaced, herbacous or coriaceous. stipe articulated at the base. Lamina dimorphic, entire or ciliate, glabrous or thinly to densely set with scales, veins free. Sporangia acrostichoid on the underside. Derivation of name: elaphos: stag, glossis: tongue; referring to the tongue-like shape of the leaves. Worldwide: 600-800 species, pantropical and temperate distribution. 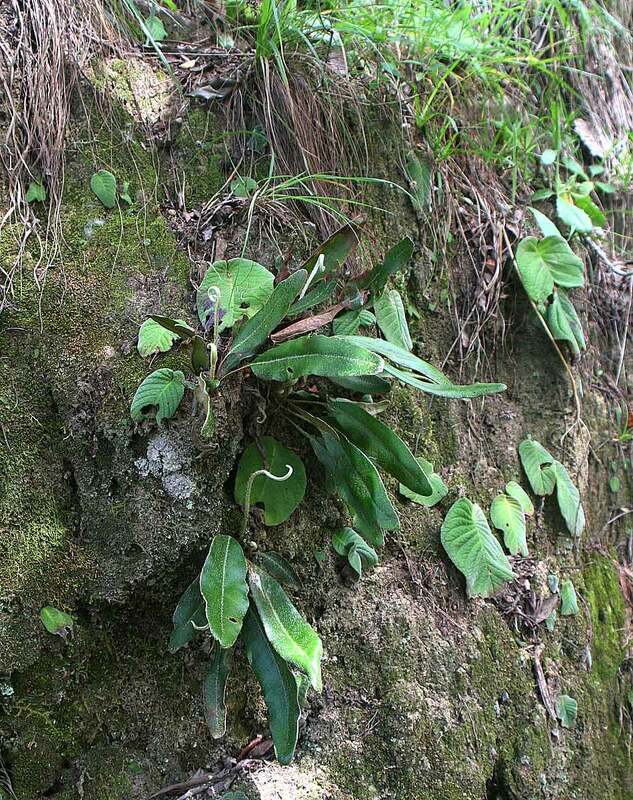 We have 28 taxa in the database for Elaphoglossum.